Createspace Independent Publishing Platform, 9781490375809, 332pp. Fourteen-year old Hannah Woods suffers from panic attacks. Overmedicated by a family who has a secret, Hannah lives in a world full of anxiety and fear. This is her story; her journey from the depths of Black Hollow's darkness, the wealthy old-money town where she grew up, to the light of Crystal Cove and the world of her hippie grandparents. As the story opens, Hannah Woods, haunted by the neglect of an alcoholic father and the abuse of a mentally ill caretaker, is plunged into a nightmare that threatens her very existence. After her father drowns, Hannah's world spirals out of control as she is forced to move to the other side of the island where her newly discovered hippie grandparents live. Hannah suffers from Posttraumatic Stress Disorder. She is addicted to prescription drugs; drugs given to her for anxiety and depression; drugs given to her to keep her silent. Her heroic journey begins the moment she enters the world of Crystal Cove where she struggles to navigate the emotional world of adolescence and addiction. With the help of her Grandma Pearl and her Grandpa Hollis, the talents of a remarkable therapist, Dr. Katherine Hope, and a new best friend, Emma Matthews, Hannah discovers her amazing self. The evolution of Hannah's character will empower both teens and adults who find themselves addicted to drugs or who have experienced the devastating effects of physical, emotional, and/or psychological abuse and neglect. Helene Forst grew up on Long Island, New York. After graduating from high school, she attended the State University of New York at Stony Brook to study teaching. During her sophomore year in college, she married her high school sweetheart, Jack. They have two grown sons, Michael and Benjamin. Helene Forst is a veteran teacher, an environmental activist, and the grandma of Aidan and Sarah. 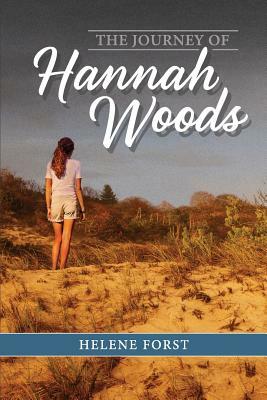 The Journey of Hannah Woods is her first published novel.